‘Cursed Child’ Wins Six Awards at The Tony Awards 2018! The 72nd annual Tony Awards took place last night (June 10th) at Radio City Music Hall, and broadcast live on CBS. 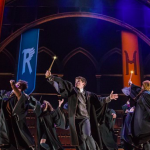 After sweeping the Olivier Awards on the West End, the cast, crew and creative on Cursed Child once again proved their might, by clearing out at the Tonys! The production received TEN nominations in total, including Best Play. Other nominations were received by Noma Dumezweni for Best Featured Actress in a Play, Anthony Boyle for Best Featured Actor, Jamie Parker for Best Leading Actor in a Play, John Tiffany for Best Director, Katrina Lindsay for Best Costume Design of a Play, Steven Hoggett for Best Choreography, Gareth Fry for Best Sound Design of a Play, Christine Jones for Best Scenic Design of a Play, and Neil Austin for Best Lighting Design of a Play. After countless interviews, features and preparation, the evening of the awards arrived, and before they knew it the people behind Cursed Child were on the red carpet! 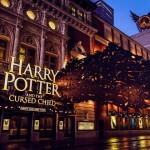 Take a look at our interviews with playwright Jack Thorne, director John Tiffany, co-producers Sonia Friedman and Colin Callender and J.K. Rowling herself at the official opening of Cursed Child on Broadway here. It’s @TheTonyAwards day 😬🎭🏆🎊Bloody hell. Sending all my positive energy over to the entire cast of @HPPlayNYC. The megastars that are @MissDumezweni, @DickLeFenwick, @AnthonyBoyle you’re already winning huns – do us proud. Neil Austin won Best Lighting Design of a Play. “I’m a guest in this country – it’s a great honor to come and work here,” he told BroadwayWorld. “I’m the muggle in the group! […] I fell in love with Harry Potter as I did the show”. 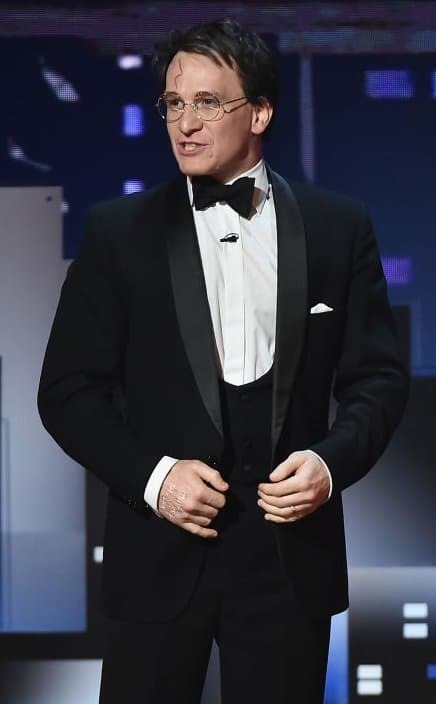 Austin also designed the lighting on RED, and won a Tony for his work on the original run of the show on Broadway in 2010, which starred Fantastic Beasts star Eddie Redmayne (Newt Scamander). The show’s revival is currently running on London’s West End, and stars Harry Potter‘s Alfred Enoch (Dean Thomas). Read our review of RED, and find out how to get tickets here. John Tiffany won Best Director of a Play, and thanked Sonia Friedman and Colin Callender during his speech for convincing him to take the job. He also wanted to share his award with Steven Hoggett, who he’s worked with for 30 years. To finish, Tiffany demonstrated his directorial talents, by getting the audience to sing happy birthday to his boyfriend! If anyone wants tips on how to give speeches I’m your guy. Nailed it. I wanted to talk about Melody Herzfeld, Parkland & hope but above all wanted to give thanks to the ace ace cast, ace crew, Sonia, Colin, John & that incredible witch @jk_rowling. So v grateful for all of this. Congratulations to the cast, creatives and crew who continue to work so tirelessly on making Cursed Child the award-winning, record breaking show that it is! Have you seen the show yet? Are you seeing it any time soon? Let us know in the comments! 'Cursed Child' Wins Six Awards at The Tony Awards 2018! J.K. Rowling Visits 'Cursed Child' Theatre Ahead of Broadway Premiere & Sonia Friedman Makes TIME 100!